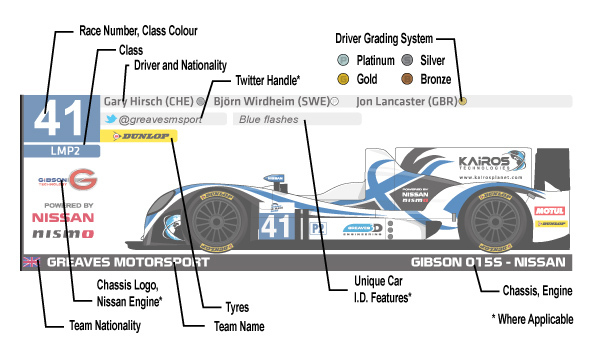 The 2015 NISMO Spotter Guides for the World Endurance Championship and the European Le Mans Series event at Silverstone are now available to download on our new dedicated WEC and ELMS. This link will remain the same for the season. The guide is available in PDF and JPG format and will be updated prior to each event. 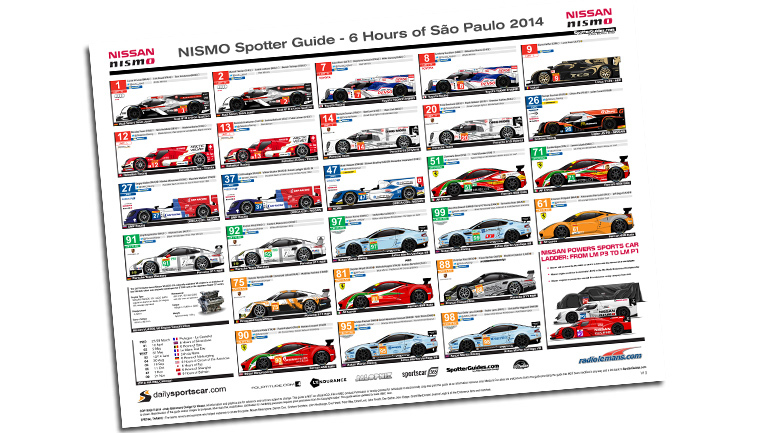 Thanks to NISMO for their support of the guides. Without their assistance, the guides wouldn’t exist. SpotterGuides.com also offer a Formula One guide, 2015 Racing Wall Planner and from next week, the Official TUDOR United SportsCar Championship Guide for Long Beach. 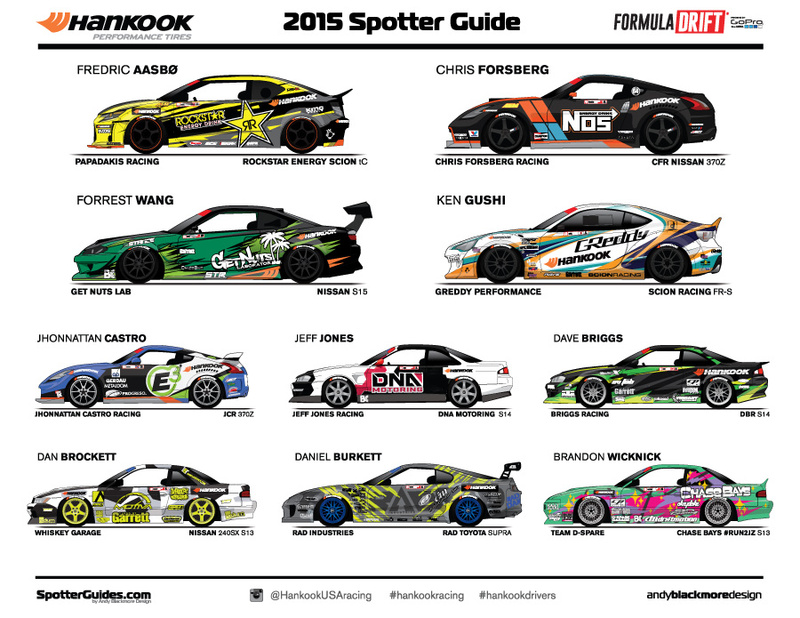 Following their successful guide in 2014, Hankook Tires USA recommissioned me to produce a special Hero Card in the style of a Spotter Guide featuring all 10 of their runners in the 2015 Formula Drift Championship. Hankook have kindly allowed me to make the online version available on SpotterGuides.com. 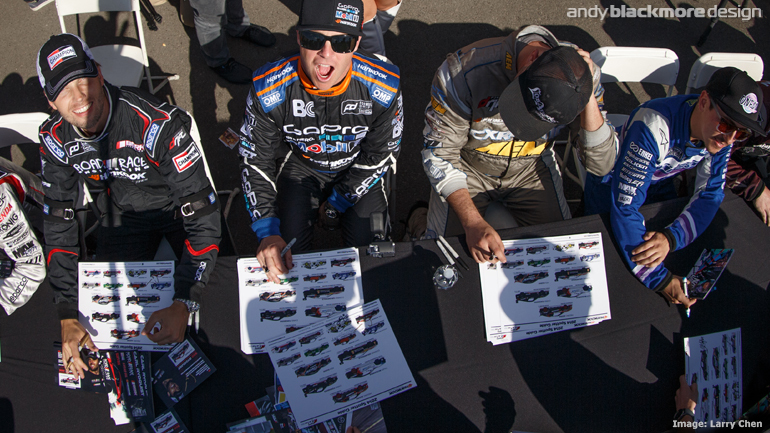 Hop over to the new Formula Drift page to download the guide.